Georgia O'Keeffe (American,1887-1986). "Black Lava Bridge, Hana Coast, No. II," 1939. Oil on canvas. 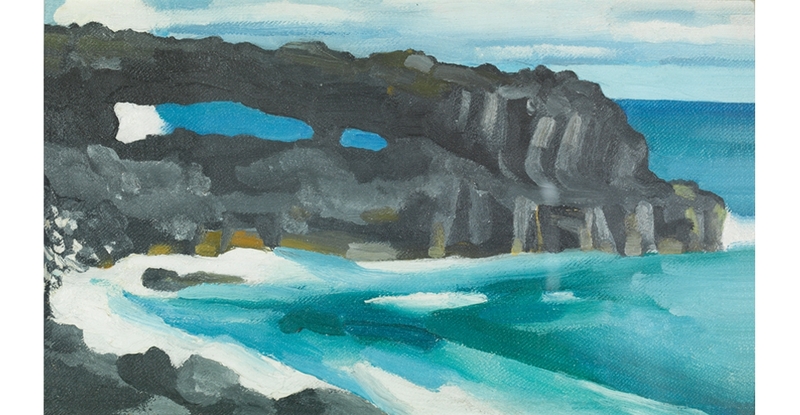 Gift of The Georgia O’Keeffe Foundation, 1994, (7893.1). The spotlight is on the artist Georgia O’Keeffe this month. Learn about this American master through the exhibition Georgia O’Keeffe and Ansel Adams: The Hawai‘i Pictures. Go on a gallery hunt for her artwork and do projects related to her beautiful paintings of the islands. Using oil pastels, learn how to draw close-up views of flowers à la Georgia O’Keeffe. 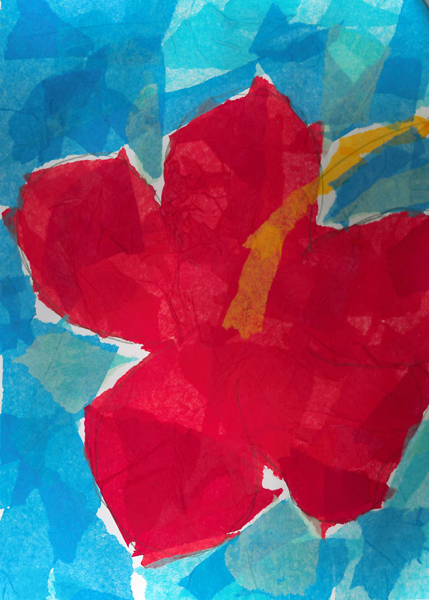 Make an O’Keeffe-inspired flower sun catcher using transparency film and colored tissue paper. A perfect window decoration! This band of beach boys plays favorite island tunes. Enjoy performances by this culturally based halau, which teaches students in the tradition of Aunty Mary Keolalaulani Wong and her daughter Lokelani Anderson. Citing such diverse influences as Adele, Alicia Keys and Prince, Liana Mason’s soulful voice brings a jazz club feel to the museum for a day. We screen The Painting, about an old painting and the adventurous characters that populate it. Congratulations to last month's contest winner, Bella Duran from Honolulu!